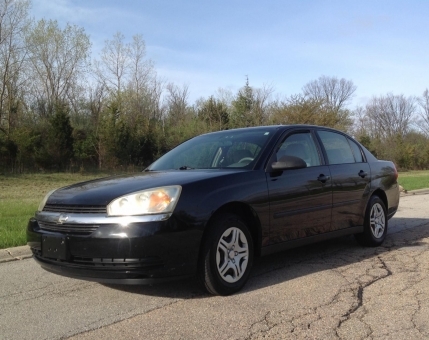 This 2005 Chevrolet Malibu is a midsize sedan with a fuel efficient engine, gray cloth seats, and a spacious and comfortable interior. This vehicle is newly detailed, clean, and in good working order. The Malibu has sharp styling capable handling, and will provide a quality ride. Options include a hard top, power windows, mirrors, locks, steel wheels, Continental tires, AM-FM stereo with CD player. Runs great!